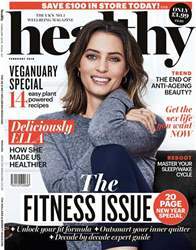 Digital Subscriptions > Healthy Magazine > February 2019 > HOW CAN I STAY FIT FOR LIFE? PIP BLACK is the co-founder of FRAME, a lifestyle and fitness brand. For more inspiration, visit moveyourframe.com or follow @moveyourframe on Instagram.